This one is howlarious. America is for sale for just Rs 25. The price is negotiable too it seems. The buyers should be Vegans. Good friends and family members of Chronicwriter are banned from buying this land because of undisclosed reasons. 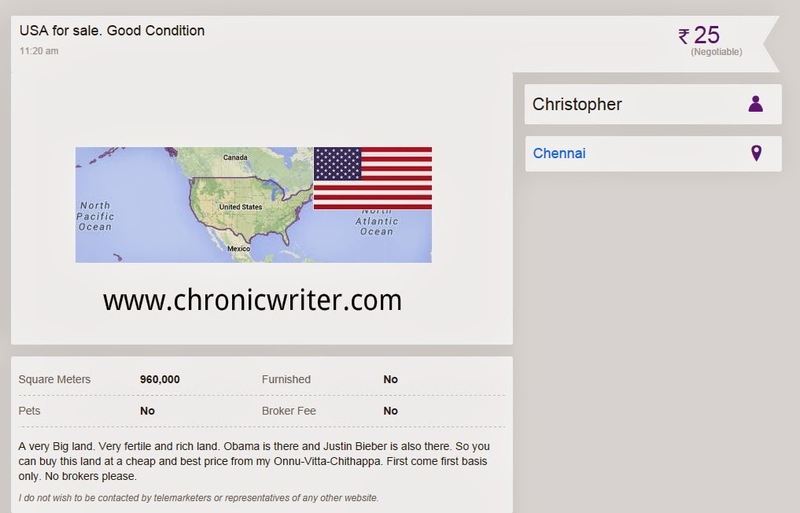 Interested buyers are requested to call Chronicwriter immediately from their mottai maadi.